As Metro Boston expands into suburbia the demand for dining and entertainment outside of the city has skyrocketed. So too has the demand for suitable retail space in towns where residential-only zoning is generally the rule. While larger mixed use developments along 128 enjoy the benefit of comprehensive planning and zoning approvals under special permits, there are many commercial uses, including restaurants, located in residential neighborhoods that are allowed to remain in place as pre-existing, non-conforming structures and uses. Any restaurant presently operating in such a space or any operator in search of a suitable location outside of Boston should be aware of the basics behind zoning outside of the city, including the status of pre-existing, non-conforming uses and structures. Generally, structures and uses that existed prior to the adoption of a zoning ordinance that would otherwise prohibit such structure or use are protected as pre-existing, non-conforming structures and uses under G.L. c. 40A, s. 6. Additionally, structures and uses that have existed for greater than six years are protected against removal or injunction based on the statute of repose (i.e. limitations) under G.L. c. 40A, s. 7, only if such structure was built and/or such use was commenced in reliance upon a building permit. Structures that have existed for greater than ten years are also protected without the benefit of a building permit under Section 7; however, unlike structures, uses are specifically not protected by the 10-year statute of repose. Despite the issuance of a seemingly valid building permit, structures that do not comply with current zoning are subject to removal if challenged, unless they are protected by the passage of time as described herein. In summary, non-conforming uses are only protected if such use either pre-dated the zoning code or if such use was commenced under the auspice of a building permit and has been in existence for greater than six years. Non-conforming uses and structures may be deemed “abandoned” and may lose the benefit of both Sections 6 and 7 if they are not used continuously. Generally, if a non-conforming structure or use is vacant or stopped for two years it may be deemed abandoned and may be subject to compliance with current zoning. The determination of “abandonment” is usually based on the intent of the owner; however, the passage of time alone can result in a finding of abandonment. Casualty or other involuntary circumstances that result in temporary cessation of the use / structures do not result in abandonment. The 6-year statue of repose (i.e. limitations) under Section 7 must also be read in light of the 30-day statute of limitations on any appeal from the decision of a building inspector to issue a building permit under G.L. c. 40A, s. 15. If an individual offended by the issuance of a building permit has actual or constructive notice of the issuance of the permit in question, the individual will be bound by the 30-day statute of limitations under Section 15 and may not take advantage of the longer 6-year statute of repose under Section 7. The nuances of what constitutes actual or constructive notice are complex, but the cases focus on actual or constructive notice of the building inspector’s action and not the resulting use or structure in question. In summary, if any particular commercial use was commenced on the property prior to the adoption of any conflicting zoning bylaw, such use is protected in perpetuity unless it is abandoned or materially altered. Additionally, to the extent the use is mentioned in any building permit that was issued greater than six-years ago, the use is also protected by the statute of repose under Section 7 of Chapter 40A. Unless the use is “abandoned” it may be continued in perpetuity as a pre-existing, non-conforming use. However, any expansion or alteration of the pre-existing use that has occurred subsequent to the adoption of conflicting zoning must be authorized by a special permit, or be protected by a building permit coupled with the passage of time under Section 7. Structures – as opposed to uses within structures – are either protected as pre-existing, non-conforming structures, structures existing by virtue of a building permit for greater than six years, or structures existing for greater than ten years without a building permit. Review of local building department records is critical to the analysis described above. Understanding the basics of zoning outside of Boston can help avoid trouble, particularly where pre-existing, non-conforming structures and/or uses are involved. 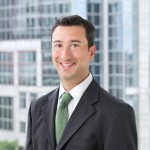 Christopher R. Agostino, Esq. is an associate of Ruberto, Israel & Weiner and member of the Commercial Real Estate, Corporate and Business Law, and Hospitality & Retail Services Groups. Among other areas, his practice includes representation of commercial landlords and tenants as well as creditors rights in bankruptcy. He can be reached at cra@riw.com.